Spring is in the air in New England. And it's April. That means it's Boston Marathon time. One of the most important races in my own journey as a runner - I always miss it when I'm not there lining up in Hopkinton! Today's post isn't about this year's race, or the bombing from a few years ago. It is about training for the marathon, or any other long distance race. Because when it comes to LONG RUNS prior to a marathon, Ironman, or some other long distance race or run, old habits sure die hard. What's the old habit I'm referring to? Running your last long run 3 or even 2 weeks out from race day. Its amazing to me that in this day and age, with all we've learned about how our body functions best, the idea of doing a "longer" run within 3 and even 2 weeks prior to a marathon is still very prevalent out there in the running community. As the title of this post states, old habits (like being afraid of doing any strength training, or counting mileage as the primary predictor of performance!) die HARD! So When Should You Do Your Last Long Run? I was first exposed to research about the amount of time it actually takes for deep cellular tissue (muscle) damage to heal (from training) around 1990. That's 24 years ago. One study, conducted at Harvard at that time, showed that tissue remained significantly damaged even after 4 or 5 weeks of "recovery" after that "long" run. After learning about that study and then discussing these concepts with our former podcast guest and running expert Owen Anderson, PhD (who at that time was the editor of Running Research News) I decided to adjust my own training to reflect that longer taper period prior to race day. I immediately felt the benefits of it with my first 2:40 marathon in 1991. To that point, I'd been able to run a 2:50, but with this new approach to tapering, I ran a full 10 minutes faster and felt better on race day. I don't necessarily credit that taper and distance between the last long run and race day as the sole reason for the 10 minute drop, but I do believe it was a huge factor. Without a doubt, I am convinced that a huge percentage of the runners who are running marathons in this day and age, and in fact many of those lining up in Boston next Monday, toe the line with "still damaged" muscle cells from a longer run, too close to race day. Maybe its me, but it always made sense that if I wanted to have an opportunity to run my best on race day, that my legs needed to be healed from what I had done to them in training. That might sound like a simple concept, but again, old habits die hard. Keep in mind as you think about this, that a "long" run can mean different things to different runners. Someone running 90 miles per week can run longer, relatively speaking, than can someone who can only handle 30 miles per week. But in my opinion, even on an elite level, a lot of the country's best marathoners are still running too long, too close to race day, even with their lofty weekly mileage totals. I've employed this taper strategy or some variation there of, with every person I've coached since I began coaching, and as I mentioned, used it myself since the early 1990s. Obviously, doing this requires that you do GET IN those longer runs early enough in your preparation. But even if you fall short in either the number or length of those longer runs, trying to "squeeze in" one last long run too close to race day, ensures that you will toe the line with less than 100% of your capability that day, and that's a shame. The best chance any of us have to run our best "on the day," is to show up 100% healthy and healed and motivated to do well, with a solid strategy in place. The key words are "100% healthy." If you're not, even with the best training and highest levels of motivation, you will very likely do less well than you might otherwise be capable. Why Do Runners Continue To Run Long Too Close To Race Day? Big Confidence Boost? : At first glance that close-to-race-day long run seems like a smart idea. Many runners believe they need to prove to themselves that they can go the distance on race day, and what better way to show you’re ready than to knock off a 20-miler just a couple of weeks before you go to the starting line! What a great shot in the arm to your confidence, right? Wrong. It might sound logical to lay one last long run down to boost confidence, but that would be a mistake, and the reason is simple: You need recovery after your long runs. Many runners dismiss the amount of pounding we put our bodies through running those miles. As I often say here in our Lab, a mile of running is the equvalent of 1500 one-leg squat jumps! That's a lot of repetitive trauma. In an article Owen wrote in RRN some years ago, he referenced research conducted by Dutch exercise scientists with a group of marathon runners. "About two thirds had significant signs of muscle injury on the morning of the race, before they had run just one mile of the marathon!" According to the study, "the reason for this muscular mayhem, for the most part, was the long running the Dutch had carried out during the month before the race. The Dutch-athletes’ muscles were totally non-recovered on race day." The Dutch researchers found that training runs with durations longer than 15 kilometers (~ 9.3 miles) were the ones which seemed to produce the greatest amount of muscle damage. Below 15K, little muscle damage accrued. (The reason why I started back then, making 9-10mile runs my longest within four weeks of the race). The biggest myth that exists out there among runners getting ready for the marathon is that a long gap between the last long run and the actual marathon will make our body "forget" how to run long. Going a full four weeks without a true "long" run, will cause our body to lose its ability to efficiently cover the distance, right? Not so much! The truth is that provided you've done the necessary periodic long runs prior to that 4 week period and built to a distance of 20-22 miles on average, your body will not "forget" how to complete the distance on race day. step up the intensity of your training, allowing you to do more of the kinds of training sessions which will have a direct impact on marathon readiness. Those are sessions focusing on lifting vV02max, running economy, and threshold. focus more time and energy on your overall fitness, specific mobility and flexibility needs, and topping off your running specific strength. Most runners are so used to running on battered and bruised legs and being exhausted, that they never actually FEEL what it feels like to run on legs that are recovered and 100% healthy. What a shame! A smart marathon or long distance run training plan is one that builds fitness progressively and THEN ALLOWS for adequate recovery prior to race day. Many typical race training plans I see on the internet or written by other "experts" often leave out this critical recovery aspect, having runners run long 2 or 3 weeks out from race day. As a result, the runners following those plans or trusting that guidance end up toeing the line with damaged muscles, even though they "believe" they are 100% ready to have the best race possible. If you're reading this thinking "that guy is an expert running coach," or "my fast friend does it this way," stop and think for a moment. Simply put, 3 weeks isn't enough time for healing for the majority of runners, and 2 weeks is flat out absurd under normal circumstances. The exception might be if your weekly mileage totals are over 80 to 100 per week. If your weekly mileage is below those numbers, you'll be very smart to leave at least 4 weeks from the last long run you do until race day. Train smart in this way, and you'll feel better and run faster as a result! 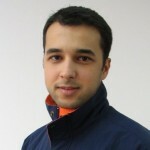 Today I am really psyched to welcome onto the podcast, Dr. Omid Fotuhi, triathlete and project manager for the Stanford University Interventions Lab. I truly believe the topics we discuss on the podcast today will have a profound impact on anyone listening in. The group of researchers led by Dr. Fotuhi are doing absolutely state-of-the-art research on mindset and performance! Dr. Fotuhi and his colleagues at the Interventions Lab describe their research as "focused on identifying psychological barriers that impede performance and well-being, and leveraging those insights to create theory-driven interventions that target those barriers." Here's a link to a short video that provides a brief look at the work they do. What are some of the most common patterns of beliefs and thoughts that we all have, and how do those correlate with our performance? Do seemingly inconsequential events have an impact on how we see ourselves and therefore how we perform in races? How is our own motivation to train and race to our ultimate potential impacted by how we see ourselves and the world? 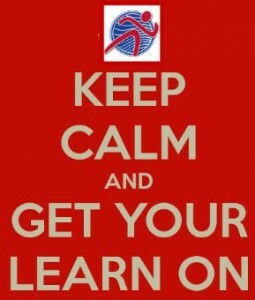 Having a fixed or growth mindset: Which is more likely to lead to reaching one's potential? What can we do to improve our ability to persist in the face of adversity, to experience less negativity and perform better at our races? I personally found our discussion incredibly valuable, especially from a coaching perspective. I learned a lot and encourage everyone to listen in. This is powerful stuff! Deb and Coach Al, at their Cedar Lake Trail Camp and Retreat this past weekend! Today I am excited to welcome Ethan Veneklasen and Debbie Livingston to the podcast. Without a doubt, this was one of my favorite podcasts to date! 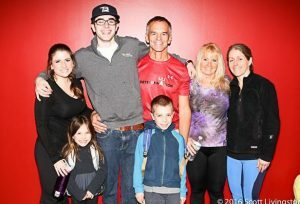 I had the opportunity to connect with Ethan after this year's Miwok 100k. All three of us were there to race. Miwok is one of those old classic races in the ultra-running world. Held on May 2nd in the Marin Headlands outside of San Francisco, Debbie and Ethan ran a little bit of the course together that day. 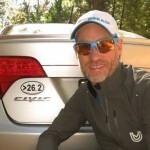 Ethan is one of those great guys who seems to know everyone in the ultra-running world! Besides being a co-host of the ever popular ultra runner podcast (over 150k downloads per month! ), he's also a Hoka One One and VFuel ambassador. As for "Deb," anyone who listens to this podcast knows who she is. 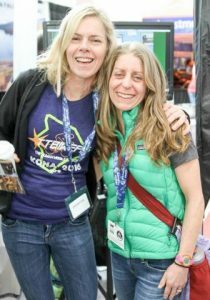 Mom and wife, elite ultra-runner, coach, yoga teacher and steward of all things mother-nature and the environment, she was last on the podcast with me when we visited with James Varner and the Trail Running Film Festival back in February. In June of last year, I did an interview with Debbie for the podcast. It's a fantastic chat where she shares some of her secrets to success, as well as discussing those things (like trail running, ultra-running, caring for the environment, her family) that are most important to her! She's one of the best! How far the unique sport of ultra-running has come in such a short period of time. Why they feel trail running is special, unique, and so very different from road running. Their "story" and some of the important things that have changed their lives and brought them to this point in time. Ethan has a unique one - you can read more about it here. Miwok 100k: This was Ethan's 2nd try, after a DNF last year. Debbie ended up as 4th woman! What makes this race so amazing and special?! I'd like both of them for joining me today. I sincerely hope you enjoy the chat and are inspired to get out there and hit the trails! All the best! 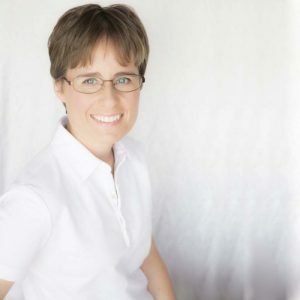 Today I am pleased to welcome podiatrist Rebecca Rushton of Esperance Podiatry in Esperance, Australia, to the podcast. Without a doubt, Rebecca is one of the world's foremost experts on blisters! Now if you've never struggled with a blister, then the information she has to share might not seem all that important. I believe however, that at some point in the future, each and every runner or endurance athlete will experience a blister, and probably at the worst possible time. 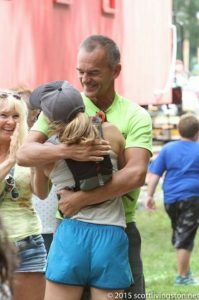 What we can all learn from Rebecca could make the difference between a painful struggle to the finish line, or busting a new PR with a smile. What are the most pervasive myths surrounding blisters? There are plenty! What's the difference between rubbing and shearing and why does it matter? Are certain folks more prone to blisters? What about shoe fit and lacing options? Rebecca has created a terrific FREE online resource called The Advanced Guide to Blister Prevention. If you want one single resource that will be your go-to for all things blisters, this is definitely it. For more resources from Rebecca on how to take the mystery out of blisters, go to her website. I'd like to thank Rebecca for joining me today. I sincerely hope this short 25 minute podcast makes a difference for someone out there who, at some point in the future will be able to avoid a blister, rather than struggle with one. Happy Trails everyone! Click on the image to see all of the upcoming dates for the Spring 2015 East Coast tour! In today's Episode 54, we are psyched to welcome race director and trail running junkie, James Varner of Rainshadow Running and The Trail Running Film Festival. 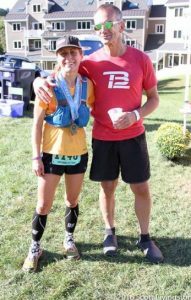 Also joining us is our own ultra runner extraordinaire and coach, Debbie Livingston. The Trail Running Film Festival is coming to the east coast this spring, highlighted by a local showing on Wednesday, March 4th, in Hartford, Conn. (For tickets to this show and others, as well as more information, go here). Rainshadow Races: Where and what they're all about. As their motto says, "why run anywhere else?" A little bit of history of trail films, and why James and Rainshadow (as well as those of us at Pursuit) are so passionate about sharing these films and bringing them to the world for all to enjoy. Which specific films are featured in the Trail Running Film Festival, as well as additional dates and locations. Practical tips and tricks for those of you who might be new to trail running or would like to learn more and enjoy it more! **James ALSO did a podcast with the Ultrarunnerpodcast back in 2014 where he talks about the film festival and other cool topics. To listen to that interview, go here. **To check out the Trail Running Film Festival on Facebook, go here. And finally, to learn more about all of the great events in the Pacific Northwest put on by Rainshadow Running, go here. Safe and happy trails everyone!